Hugi #23 was released on August 12th, 2001. It was the first issue I released after graduating from high school. The issue contained 1.3 MB of articles, which made it the largest issue of the #20s era. This large size was partly due to Tomcat's Army Report, which was published in this issue. The issue contained a couple of articles on the Assembly 2001, which had happened short before the release. There was also a Bachelor's thesis about the demoscene, "Decoding Art - A Critical Analysis of the Demo Scene", in this issue. The coding corner dealt with scripting engines, code optimization and raytracing. There were also articles on music, graphics and real-world topics. Maturefurk had won Assembly 2001 with their Amiga demo Lapsuus, and Hugi contained a report about the making of this demo, written by Saku. One of the most interesting new releases mentioned in Hugi #23 was the Alambik scripting language. 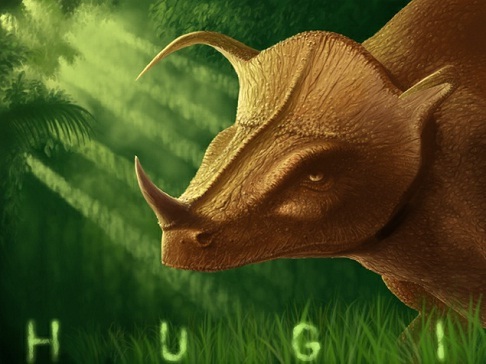 Hugi included the following news item: "Alambik Ltd. has developed a scripting language (Alambik Script 4.0) for producing 'multi-content audiovisual creations' similar to demos. The interpreter has recently been ported to the Windows environment. At the-demo.com, you can download the Alambik Viewer and 27 sample productions." Another news item reported about a new tracker. "Cheese Tracker is a new Impulse Tracker clone for Linux, coded by Juan Linietsky aka reduz. It has the same shortcots and almost the same features; however, xi, xm, mod and filters are currently not supported. The program uses Libmikmod." 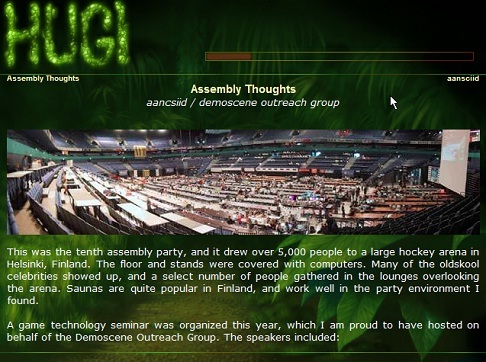 Back in those days, the Demoscene Outreach Group, which tried to bring the demoscene to SIGGRAPH, was still active. 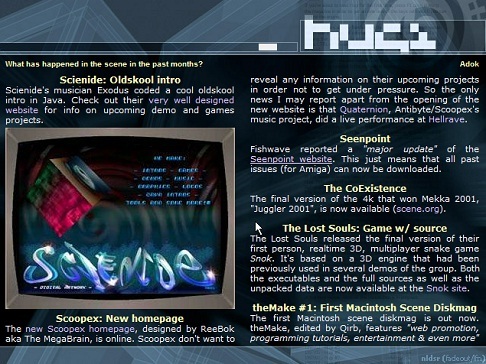 Hugi contained the following news item about it: "The Demoscene Show at the 2001 Game Developers Conference was a success. 'The demoscene received a warm welcome from game developers at the 2001 Game Developers Conference with a selection of the best demos shown during lunch. A number of sceners, active and in-active, were present during the session including members of the legendary Future Crew.' On August 15, the demoscene is going to have its public appearance at the SIGGRAPH 2001 Birds of a Feather session, a side meeting open to the general public that is held during the annual SIGGRAPH conference. Speakers will be Saku Lehtien of Remedy Entertainment (aka Saku/Maturefurk), Soren Hannibal of Shiny Entertainment, Aaron Foo of Sony Computer Entertainment America. The location: LA Convention Center, Room 506." An interesting new diskmag had also been released. "In June 2001, Devotion 2 (Amiga diskmag) was released under the Haujobb label. A completely new staff had taken over the magazine, led by Wade - an ex-editor of Seenpoint and ex-member of Scoopex, now a member of Haujobb - and Sane (also known from Seenpoint). Serious trouble had preceded the release of the magazine. Work on Devotion 2 started short after the release of the first issue, more than a year ago. In the course of the time the father of the magazine, Darkus, and the 'second main editor' Magic did not keep regular contact. It later turned out that Darkus was in a difficult phase of life and had apparently lost motivation to continue his work in the scene. He, however, denied Magic the right to complete the half-finished issue and release it. This was the reason why Magic published the pack dvn2dead.lha featuring the articles he had written or received for the issue. Then Wade contacted Darkus, willing to help finish the second issue; he organized a team that wrote a lot of articles. According to his description in the Devotion 2 editorial, they managed to finish the entire magazine, but waited for Darkus' approval without success; therefore they decided to publish the mag anyway, not caring about the former main ed's permission. The magazine contains a lot of articles with critical opinions on individual sceners. In spite of the argumentation being comprehensible, and the language being on a rather high level, it is doubtful that this is a good service for a small and diminishing community such as the Amiga scene; some texts such as the fictional story on Magic's funeral are beyond the limits of good taste. Be careful when you download Devotion 2: It has been reported that the original version contained a virus (of course it was not intentionally included). The file Haujobb-Devotion2.lha from Scenet is supposed to be clean." In 2001, Tomcat was diligently working on his book FREAX, which eventually came out two years later. Hugi #23 reported about this: "As already appeared on Orange Juice, Tomcat / Greenroom is continuing the project he was running since 1996, but had suspended for almost a year: writing the complete and detailed history of the demoscene, from the very beginnings to these days. This book, titled FREAX, will probably be published next spring or summer - so, Mekka-Symposium or Assembly 2002. Even better, there is some chance that this project will be connected to Trixter/Hornet's demo DVD project. If so, a nice package will soon appear containing the FREAX book, and some DVDs with the best classic demos in video format - something you can show to your grandchildren." In those days, the demoscene was also showed off on TV and other media: "The media have lately displayed increasing interest in the scene - especially in Germany. The most important thing to mention is the programme 'Demo-Dienstag' that is broadcast on the channel NBC Giga every Tuesday. It regularly covers new scene demos. The audience of this TV channel is mainly composed of teenagers interested in computer games. The programme has been heavily criticised by German demo groups such as Vacuum for showing demos without prior written permission by the creators. On the other hand, it has stirred up interest among a part of the audience to venture into the art of demomaking. On April 27 and 28, Querfunk featured a programme on chip music ('Digital Noise from the home computers in the children's rooms'). On Wednesday, June 27, 2001, there was the first programme about the demoscene broadcast by a popular German radio station, Fritz, audible in Berlin and Brandenburg. From 10:00 pm to 1:00 am Crest and Wayfinder presented a lot of information about the foundation and development of the demoscene, its parties, and its music. The programme was also distributed as an MP3 stream. The show electronic beatz on the music channel VIVA 2 supposedly covered electronic kindergarten, an Austrian exhibition on computer culture at which also demos had been presented (see the report in this Hugi issue). The reporter had interviewed Adok about the demoscene. 3sat broadcast a TV report of Mekka & Symposium 2001; see the paragraph on Mekka & Symposium for more information. According to Tomcat/Greenroom, the Hungarian TV channel RTL Klub broadcast some pictures about a Hungarian Amiga party, fyanica, showing people bashing malfunctioning computers. Some 'professionals' said: 'There are so-called demoparties, at which 'compos' are held, these are about crashing and destroying computers, that's what the entire party is about.' In other words, they claimed that compos were computer breaking vandalism parties, and that the demoscene was a synonym for this. The Hungarian demoscene is upset, and Tomcat, being the head of FLaG demoparty organizing, threatened to sue the TV channel. Finally, on the occasion of Assembly 2k1, another article about the demoscene was published in Wired magazine. This article was apparently inspired by Vincent Scheib's introduction to the demoscene at Gamasutra. Also, 3sat broadcasted a TV party report about Mekka & Symposium 2001. T.C.P./Eichel commented at Orange Juice: "Well done, compared to other tv party reports. Not the usual 'ooh, look at all those funny dirty freak bastards, they're all crap in the head and kill each other with their compiootars'... " The report is in German language; a divx-encoded version is to be found in the Mekka & Symposium 2001 directory at scene.org; a transscript is also located in this directory." The famous novelist Douglas Adams, author of "The Hitchhiker's Guide to the Galaxy", died in summer 2001, and there was a little obituary dedicated to him in this issue of Hugi. Two old groups were getting active again: S!P and Rebels. Quote: "Surprise!Productions, one of the largest demogroups of older days, is back, now just having five active members (avalanche, Klumsy, Loki, Multiplex, ReeBoK, Sky). They have already released a demo called 003 at Escape 2001 in Finland. The group Rebels is also having a comeback. With their demo Twenty4 (coded by Seffren), they won the 1st place at Underscore 01. Many ex-Tequila dudes are now members of Rebels to keep up the chip tradition. 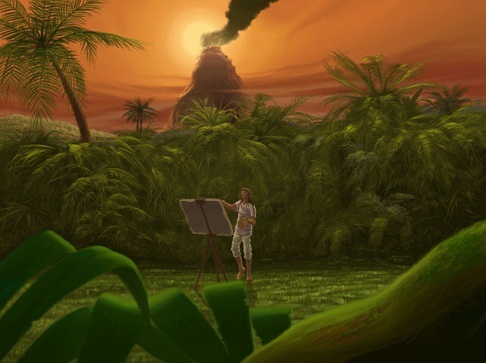 Former members of the Amiga section such as Oyise (gfx) and Jerry (music) are now also working for the PC releases." Also, Scoopex got a new homepage. Moreover, a diskmag for the Macintosh was released. "The first Macintosh scene diskmag is out now. theMake, edited by Qirb, features 'web promotion, programming tutorials, entertainment & even more', enhanced with music. You can download it at thinkmac.de. (Note: The site was not available at the time of writing.)" Basically, those were the most interesting news items of Hugi #23. The issue also contained some great pieces of art such as the opening, background and closing pictures by Partikle, the winner of the graphics competition at Assembly. The music by Steffo, Gopher and CoaXCable was also worth listening to.